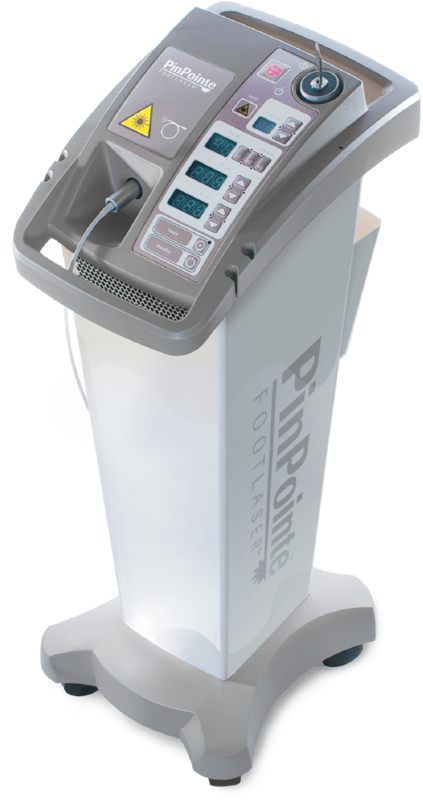 The Foot and Ankle Center of Providence now offers the PinPointe FootLaser, the first clinically proven laser procedure for nail fungus. 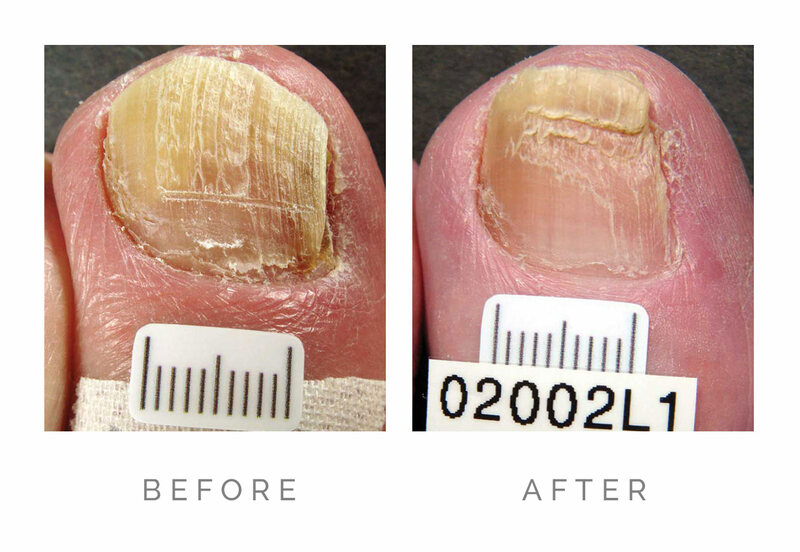 PinPointe provides temporary improvement in clear nail growth in a single visit with none of the adverse effects seen with topical and oral alternatives. 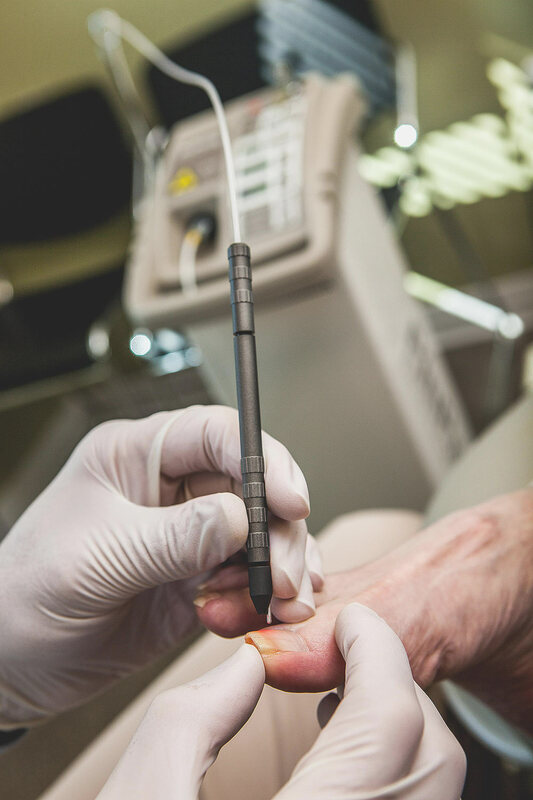 PinPointe’s proprietary pulse modulation effectively targets and heats the fungus without causing damage to the surrounding area or discomfort to the patient. The entire procedure can be performed in less than 30 minutes, and results can be seen in as little as one treatment. Dr. Huff treating a patient with the New Pinpointe foot laser. 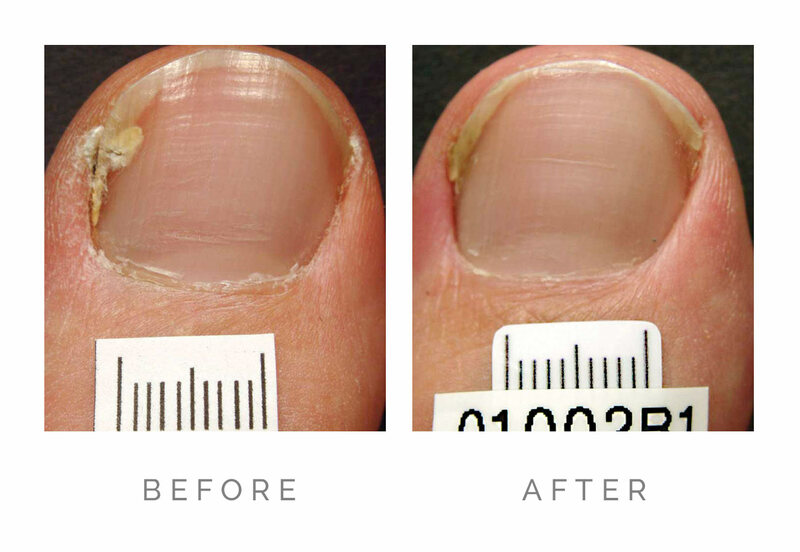 The patented laser is specially designed to safely heat and destroy the pathogens embedded in and under your nail causing the fungus infection (onychomycosis). The vast majority of our clients require 6-8 treatments. It usually takes about 30 minutes if debridement is necessary. The gentle laser light beam has no effect on healthy tissue. 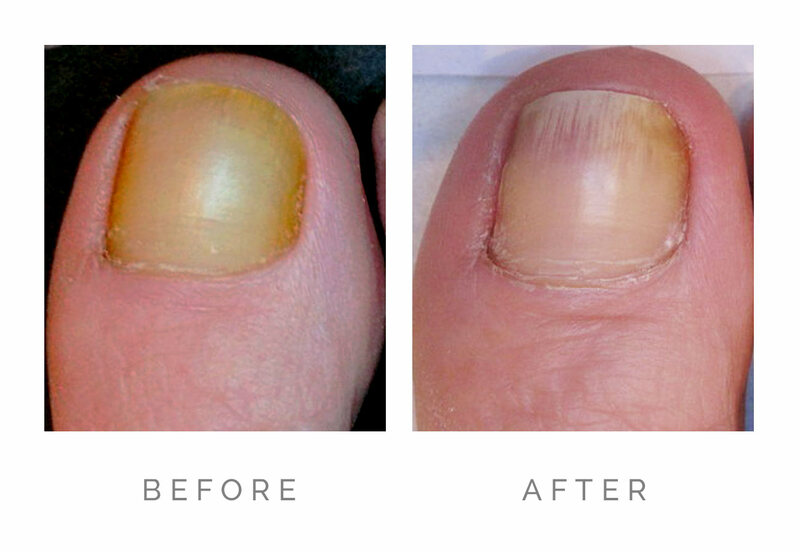 There is no pain but some patients may experience temporary warmth in the nail during treatment. This treatment does not harm or affect your activity in any way. 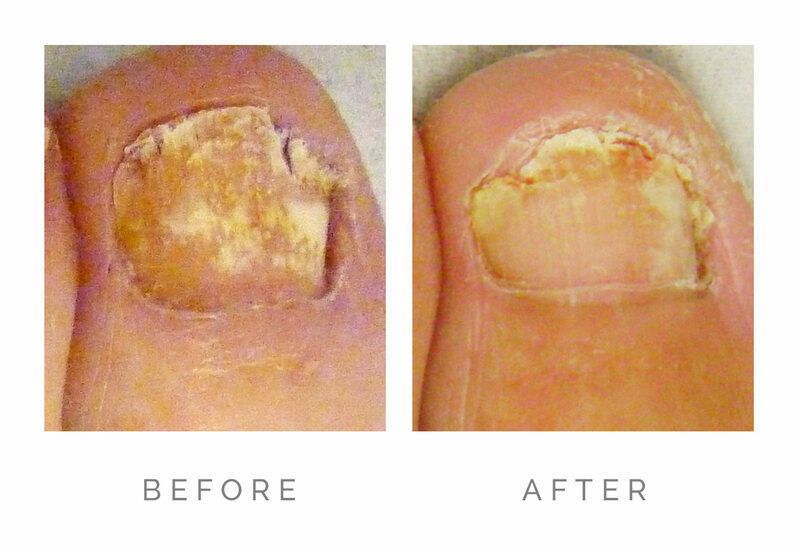 The PinPointe laser is cleared by the U.S.Food and Drug Administrations (FDA) for the treatment of nail fungus. 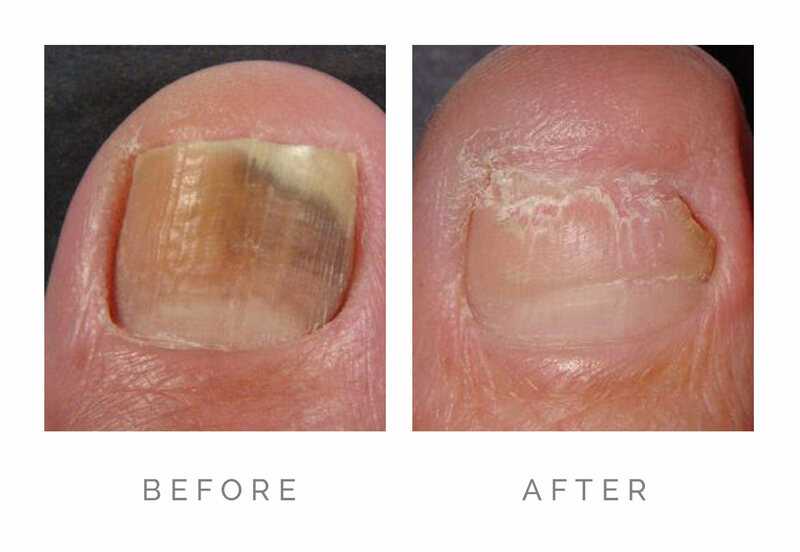 In the latest clinical study 81% of all patients treated sustained a clear nail improvement at 12 months after a single treatment. 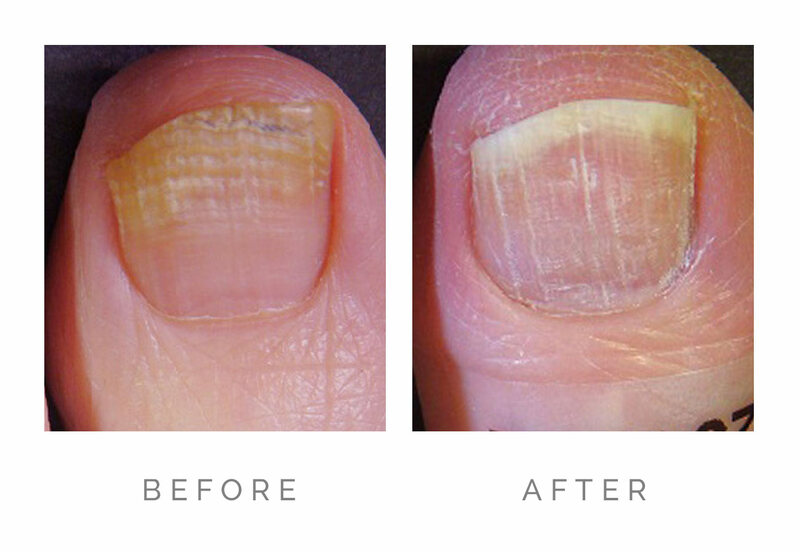 After the one 30-minute treatment, the nail plate should grow out clear in 8-12 months if there is a healthy nail bed. This result is better than the results reported for the oral pill, Lamisil, which you take for three months with some risk of side effects. There are no age or health restrictions or limitations. In clinical studies there have been no adverse reactions, injuries, disabilities or known side effects. 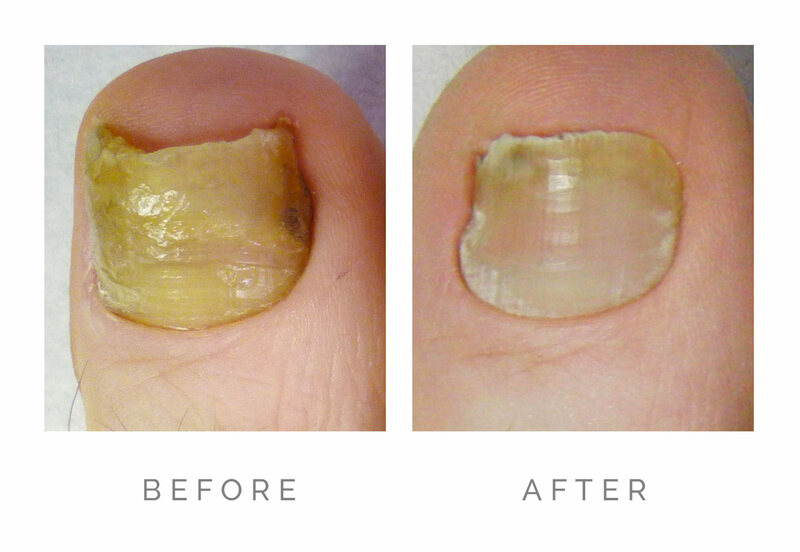 As you may know, the oral medications now used to treat toenails must be taken daily for months and carry with them some side effects that can affect the liver, kidneys, and skin. This laser does not. The PinPointe laser is safe and effective. WILL I BE ABLE TO WALK AFTER THE TREATMENT? Yes, you will be able to resume all your normal activities immediately after the treatment is done. HOW QUICKLY WILL I SEE IMPROVEMENT? 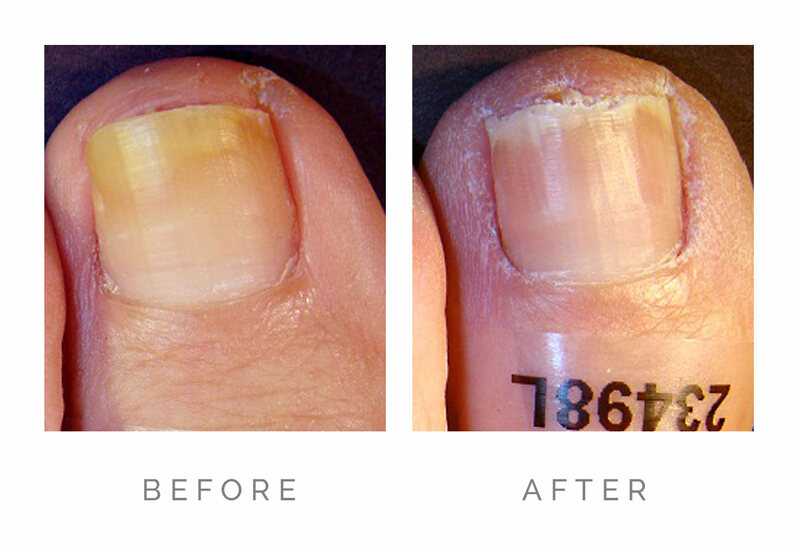 At the time of the procedure, the toenail will not become instantly clear, as it takes time to grow out. 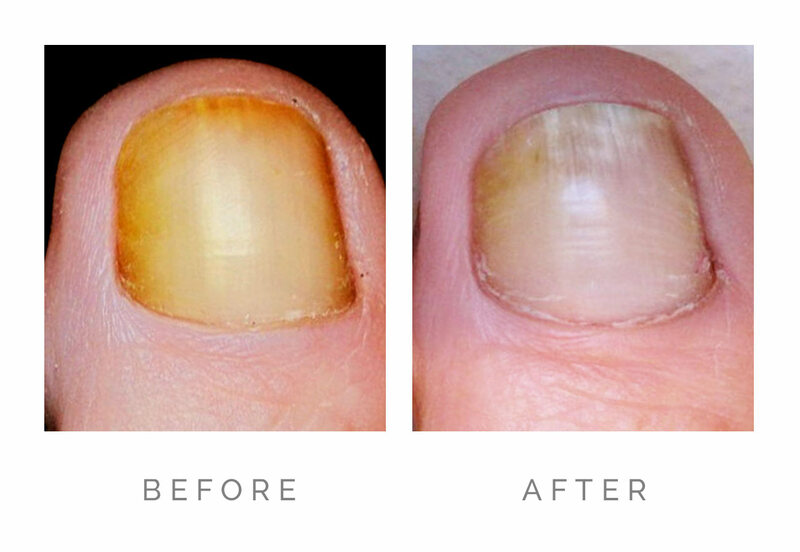 New healthy nail will be seen emerging from the cuticle area as your nails grow naturally. 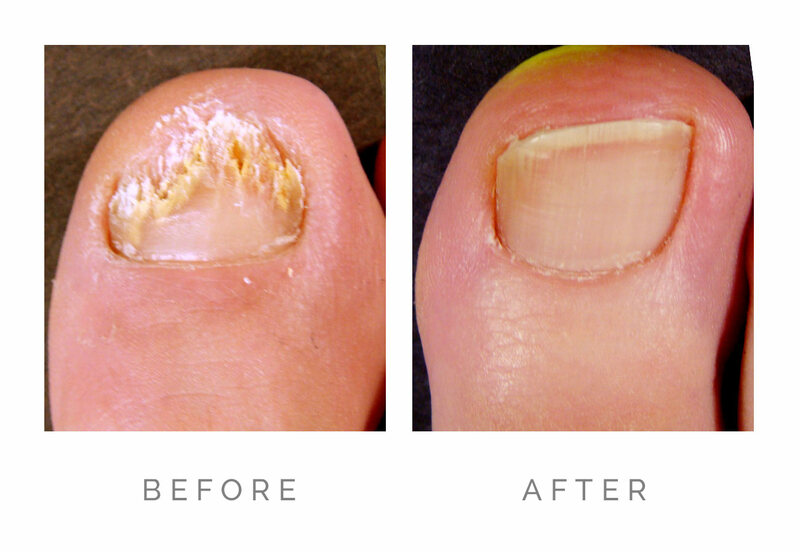 The average toenail replaces itself every 6-9 months. Within the first three months, healthy new growth will be visible. In a high percentage of cases, the fungus is eradicated following 1-2 treatments. We will recommend care techniques to reduce recurrence of the infection. There is a chance of re-infection because fungus is present everywhere in the environment. Just like you practice good oral hygiene to keep your teeth and gums healthy, you will need to practice good foot hygiene to keep your toenails healthy. Because this treatment is considered aesthetic, health insurance plans do not cover the procedure. We accept major credit cards and personal checks. We also offer payment plans through Care Credit. 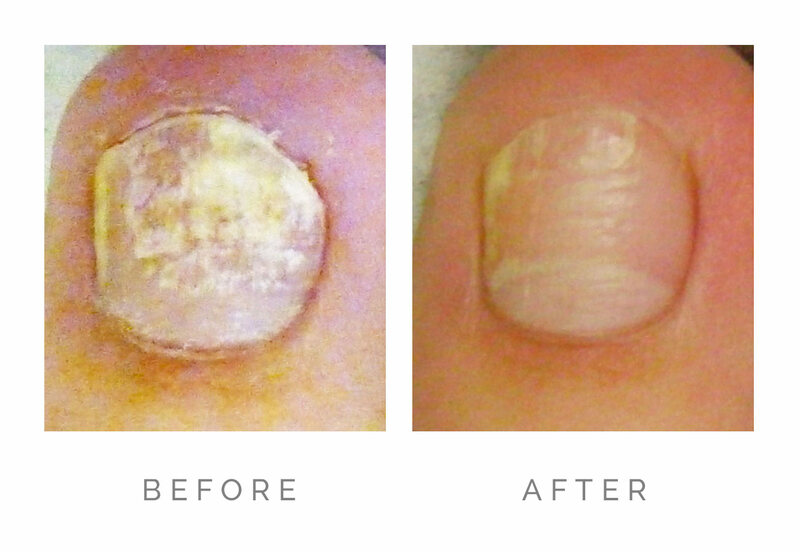 Thank you for your interest in the PinPointe Laser treatment for nail fungus. The cost of this procedure varies depending on the severity of the infection. Contact our office for details.